Richard Paul Evansis the #1 New York Times and USA Today bestselling author of more than thirty-five novels. There are currently more than thirty million copies of his books in print worldwide, translated into more than twenty-four languages. Richard has won the American Mothers Book Award, two first place Storytelling World Awards, The Romantic Times Best Women’s Novel of the Year Award, the German LeserpreisGold Award for Romance and five time recipient of the Religion Communicator’s Council’sWilbur Awards. Four of Richard’s books have been produced as television movies. 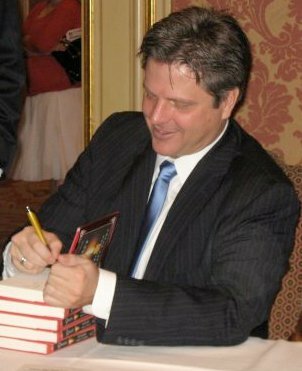 In 2011 Richard began writing Michael Vey, a #1 New York Times bestselling Young Adult series which has won multiple awards. Richard founded The Christmas Box International, an organization devoted to maintaining emergency children’s shelters and providing services and resources for abused, neglected or homeless children, teens and young adults. For his humanitarian work, Richard has received the Washington Times Humanitarian of the Century Award and the Volunteers of America National Empathy Award. Richard lives in Salt Lake City with his wife, Keri, and their five children, Sam his grandson and Nora his granddaughter.